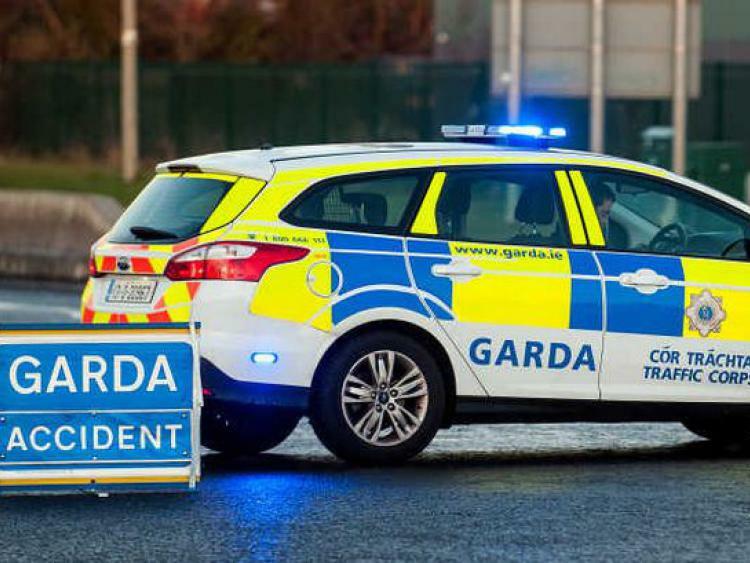 Covering local sports news in Glenamaddy and the surrounding areas including Kilkerrin, Clonberne, Williamstown, Glinsk and others. She will be honoured at a function later in the month. Congratulations to our neighbours Kilkerrin/Clonberne and St Brendan’s on their Connacht titles wins at the weekend. Cash for clobber ongoing please leave bags of unwanted clothes and shoes into Glenamaddy Community Center. Kilkerrin United lost 3-2 to Castlerea Celtic in the RDFL Premier Division on Friday night in Kilkerrin. Kilkerrin got off to a flying start when Oisín McGann’s first minute cross took a deflection and found its way to the net to give the home side the lead. Castlerea dominated position and it took some fine saves from Eoin Martin to preserve the lead. The visitors eventually equalised from a free-kick on 32 minutes. Playing into the elements in the second half, Kilkerrin defended stoutly and again had Eoin Martin to thank for keeping them in the game as he saved a Castlerea penalty. Substitute Kieran Gannon took full advantage of an opening with eight minutes remaining to give Kilkerrin the lead with a fine shot from 30 yards. The jubilation was short-lived however, as Castlerea scored twice in stoppage time to take all three points. Next up for Kilkerrin is an away game against Dysart on Sunday at 2pm. 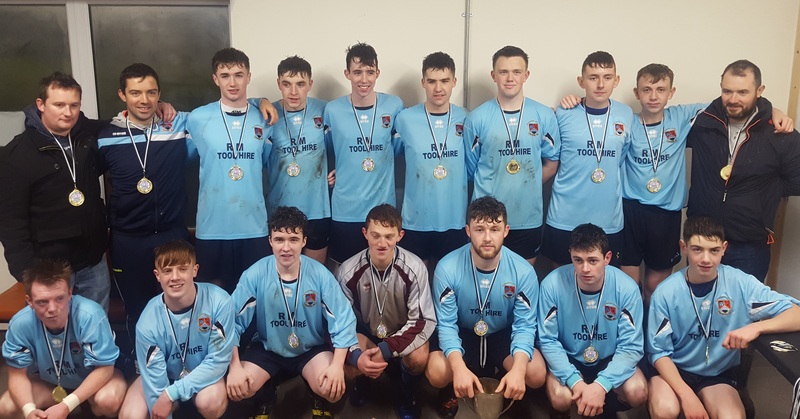 Well done to Kilkerrin United U18 boys who won the RDYSL Premier Division Cup Final in style on Saturday evening last with a 6-1 victory over Moylough ’79. Oisín Hynes (2), Kevin Traynor, Evan Fahy, Brian McDermott & David Madden were all on target while Martin Fahy saved a first half penalty. Congratulations to the players & management on an excellent victory to round off a fine season. Congratulations to Kilkerrin-Clonberne Ladies Football team on their Connacht Final win. The Kilkerrin United team & management that won the Roscommon & District Youth & Schoolboys League U18 Premier Division Cup with a 6-1 final victory over Moylough ’79. Front from left: Oisín Hynes,Cian Hynes, James O’Donnell, Martin Fahy, Evan Fahy, Oisín Moran, Cian Carton. Back from left: Enda Divilly, Aidan Kitt, Brian McDermott, Simon Keaveney, David Madden, Cathal Fallon, Brian Fahey, Cathal Gilligan, Kevin Traynor, Declan Kitt. Congrats to our senior team and management on a super victory over Carnacon on Saturday. The 3-4 to 1-8 victory over Carnacon brings us to an All-Ireland semi-final clash with Mourneabbey. Hard luck to the junior team who lost to Headford in the junior shield final last week 2-14 to 1-12. Well done to everyone who trained and played all year. Details of upcoming and recent events will be online at 4.30pm every Tuesday.